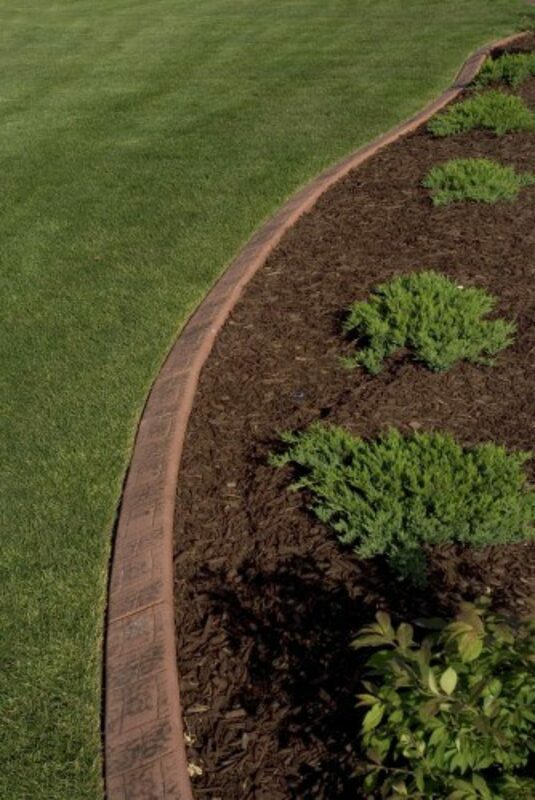 Organic mulches made from wood and bark are commonly used in landscape beds for both functional and aesthetic reasons. One of the main reasons being mulch reduces moisture evaporation from the bedding soil which helps keeps plants from drying out as quickly. Additionally, mulch helps keep undesirable weed growth under control, improves the appearance of planting beds, as well as adds organic content to the soil as the mulch decomposes over time. It is best to use organic or tree based mulches in beds with annuals and small perennials. 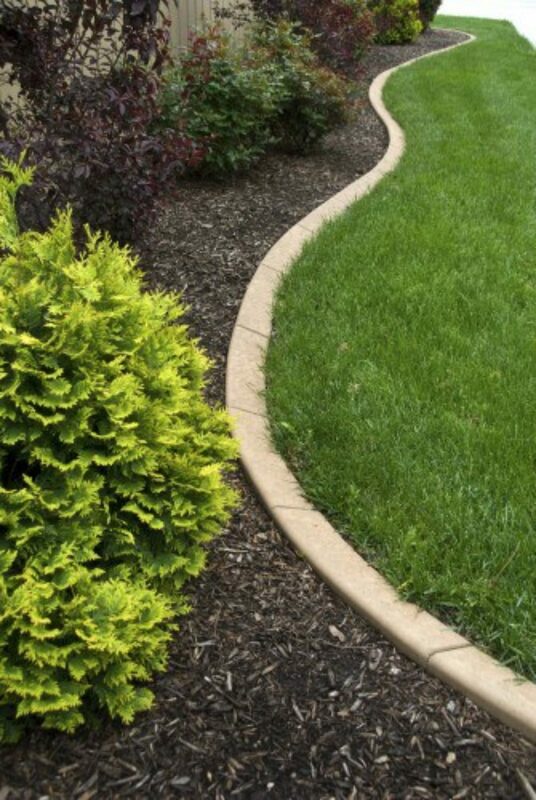 Stone mulches are better suited for landscape beds with larger perennial plants. Larger plants are less likely to suffer from the additional heat due to the stones, weight of the stones against the stem and are less likely to dry out along with the top layer of soil under the stone. First determine how much mulch you will need. This can be done by keeping records of how much you purchase each season along with some notes on how well it worked out. We do keep historical records of delivered mulch sales if you need to know what we shipped in the past. If you do not have any history to work from see our quantity calculator to help estimate your needs. Delivery is available. An effective layer of mulch should be a total of a 3” deep (including any existing mulch). If the beds have not been mulched in 2 or 3 years and there is little or no mulch left you may want to figure adding another 3”. If you mulch annually typically adding an additional inch or two of mulch will be sufficient. This will do a good job in keeping weed growth down and keep moisture in while freshening up the appearance. The recommended 3” is just a reference point. Large nuggets may require 4” to cover nicely. When using very fine mulch in a flower bed you may only want an inch or two. Depths over 4” can encourage plant rooting in the mulch layer which is not desirable. If it is a relatively small amount you need you may consider either bags or bulk. If it is a large area you will likely want to use bulk. Next get some idea of what it will cost for various options. Narrow down your choice based on what mulch characteristics are most important to you. Consider whether your house or business is particularly susceptible to termites or carpenter ants. Consider the types of plants you have in your landscape beds and whether you want to improve your soil over time. Next consider your color and texture preferences and how it will fit into your overall landscape look. A common question relating to cost is how long do the mulches last. With the exception of the pine bark nuggets, rubber mulch and possibly the composted pine, the remaining mulches will require fresh mulch each spring to keep your beds looking their best. Each year you can probably figure on loosing 1/3 to 1/2 of the mulch depth due to settling and decomposition. Doing some bed preparation work by raking your existing mulch around the beds can help determine how much additional mulch is needed to restore an effective mulch layer. This is actually a great way to get another year out of your mulch if your budget is pinched. The thin layer may not keep weeds down and moisture in very well, but a redistributed thin layer of old mulch can still look decent from a distance. 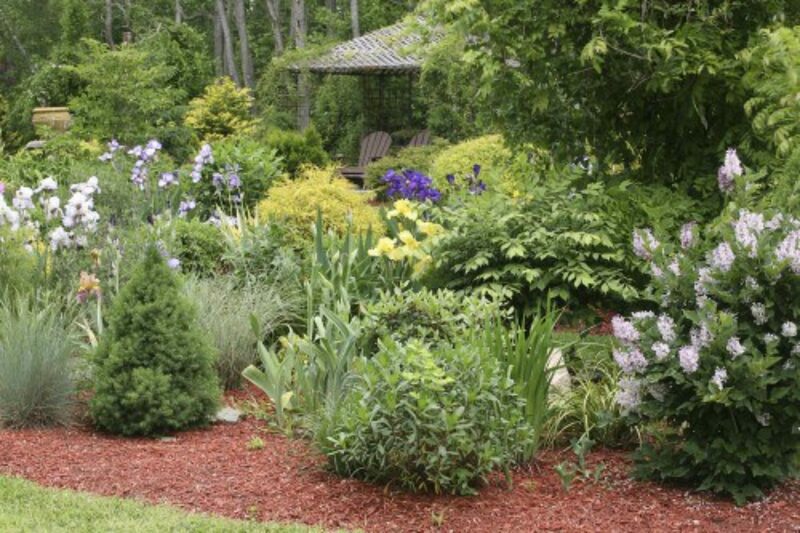 With the exception of the pine mulches and rubber mulch it is easy to tell from looking at your beds if your mulch is on its second or third season. If you want to keep your beds fresh looking it is best to add a new layer each year. Mulches made from smaller particles include less air space between particles. This is good from a cost standpoint because you are getting more mulch and less air per bag or cubic yard. This is good since you can spread it out and it will settle less over time than a mulch material which is made from larger pieces. You are getting more mulch per dollar spent and you can get away with spreading less. One offsetting factor is smaller particles tend to decay faster than larger particles. The reduction in volume over a season for barkfines due to the smaller particle will roughly offset the initial gains from it being finer. You will realize the gains from purchasing less airspace when buying the composted pine bark since it decays very slowly even in fine form. Wood mulch and even bark based mulches should be avoided if you or your neighbors have had problems with termites. Under these circumstances either skip mulch completely or use weed barrier and stone mulch. Weed barrier is not recommended to use under bark and wood based mulches. The weed barrier will eventually work its way to the surface. Each year mulch decomposes, as time goes on this decomposed matter can grow weeds like any other soil underneath the weed barrier. Certain types of tree sourced mulches are more common depending on what part of the country you live in. In Southwest Michigan the number one mulch is hardwood shredded mulch followed up by cedar shredded mulch and the various colored mulches. The biggest factor that leads to prevalence of use is availability and related prices. If you have an abundance of hardwood trees in your area, the likelihood of your mulch being hardwood-based is greater than pine bark or vice versa. If you live in the desert organic species specific mulch is going to be expensive.